Spring time in the garden! Budding and blooming flowers everywhere. Little mouse and his friend snail are happy to see their friend butterfly flutter by. 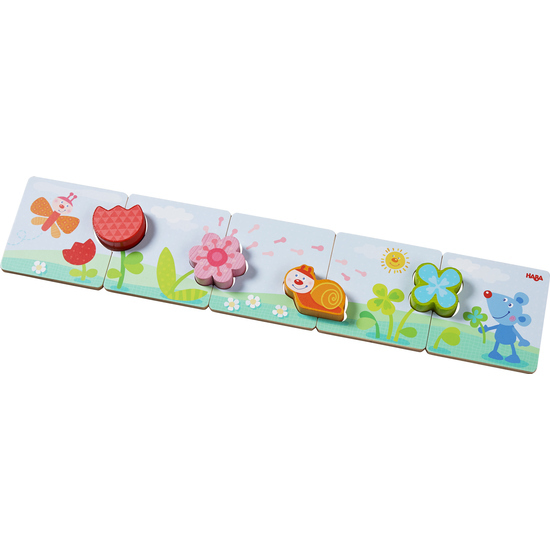 Matching game Flower Garden is a beginner’s shape puzzle for young children with easy-to-grasp wooden pieces.